If you do not know how to handle a mating, enlist the help of an experienced breeder the first several times. 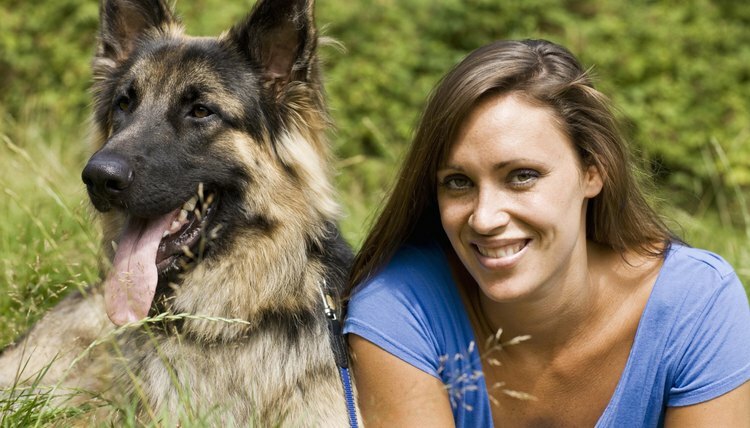 Your dog or the female could be seriously injured if a mating goes wrong. Stud dog owners should be available to the owners of their dogs’ puppies if any questions arise. Consider creating some business or contact cards and asking the females’ owners to give them to puppy buyers. Offering a dog for stud service involves more than just collecting stud fees. You are partially responsible for any puppies your dog produces, and for the care and welfare of the female while she is being bred to your dog. You must also ensure that you are doing what you can to prevent puppies from being born with genetic diseases that can cause long-term health problems or shortened lifespans. Evaluate your dog to be sure he is of breeding quality. Breeders are always striving to improve on their current female’s quality, so your dog must be an above-average example of his breed before you decide to offer him for stud service. An efficient way to receive objective evaluations of your dog is to enter him in conformation shows, where he will be judged according to the breed standard. Test your dog for genetic conditions common to his breed. The specific tests will vary. Contact your national breed club if you aren’t sure what testing to do. Also test him for brucellosis, a sexually transmitted disease of dogs. He will need to have this test every six months while he’s being used at stud. Any female brought to him should be tested and cleared of brucellosis as well. Put the word out that your dog is available for stud. The easiest way to do this is to enter him at dog shows, either conformation shows or performance events like agility or obedience. Breeders want to see a dog in person before they decide to breed to him. You can also advertise in breed-specific magazines or specialty show catalogs. Develop a stud service contract. Include the stud fee, any requirements you have for the female, who is responsible for costs associated with the mating, the number of puppies you guarantee, and what you will do if the breeding doesn’t result in a litter. Typical contracts guarantee two live sellable puppies or one free repeat service to the same female. All parties should sign the contract before the breeding takes place. Keep one copy for your records, and give one to the female’s owner. Create a space for visiting females. If the breeder lives nearby, she may visit for only an hour or two. Breeders who live farther away may drop their female off for a week or so to be bred, and you must be sure that she is safe and cannot be bred by any other males while she is in your care. Assist with the mating as necessary. Inexperienced dogs might need help at first. You cannot just turn the dogs loose in the backyard, because injury can occur to either dog. Some females are not always receptive to a breeding, and may need to be leashed and/or muzzled at first. Generally two or three matings are performed for one stud service. Sign a statement confirming the matings, noting where and when they took place and who was present. Give one copy of this statement to the female’s owner when she goes home, and keep one copy for your files. Follow up with the female’s owner to see if pregnancy is confirmed (about four weeks after mating), and when the puppies are born (about nine weeks after mating). Sign any paperwork necessary to register the litter, assuming the terms of the contract have been met. Once the puppies are sold, the female’s owner should provide you with the names and addresses of the puppy buyers for your records. Vizsla Club of America: Does Your Stud Dog Have What it Takes?